Play detective in this artistic representation of a gory murder. 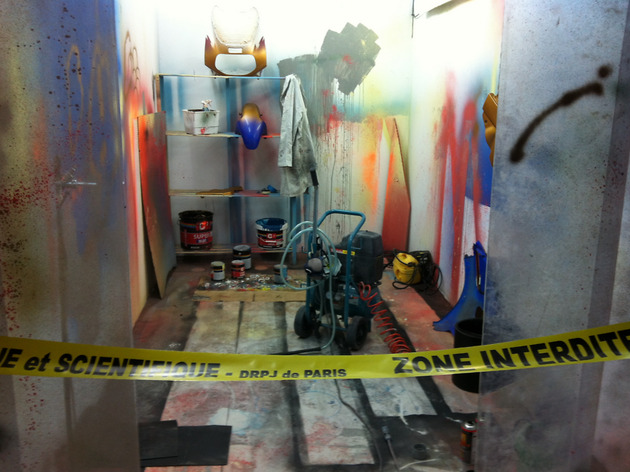 In this unconventional exhibition, the Palais de Tokyo invites visitors to explore the reconstruction of a gory (fictional) crime scene, the site of the grisly murder of artist Natan de Galois by his rival Ganel Todonais. 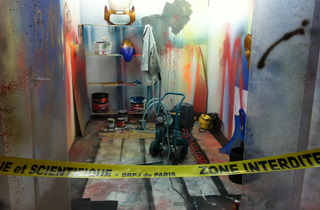 The ‘investigation’ is described in a book specially written for the event by French writer Franck Thilliez, used to guide visitors through each of the four distinct ‘rooms’ in the space – Natan’s apartment, his workshop, the garage, and, finally, the atelier of the enigmatic murderer himself. Standing in the final room, the strange similarities between the two fictional artists come to light, leaving the visitor with the spooky sense that they were two sides of the same coin. Reality and fantasy mix to create a truly disconcerting experience, but the real aim of the carefully-created show is to present the talents of crafters and artisans, woefully underrepresented in conventional museums and exhibitions. Look closely and you’ll spot over two hundred pieces, from the likes of Anne Nicolle, Maxime Leroy and Thomas Niemann, among others.